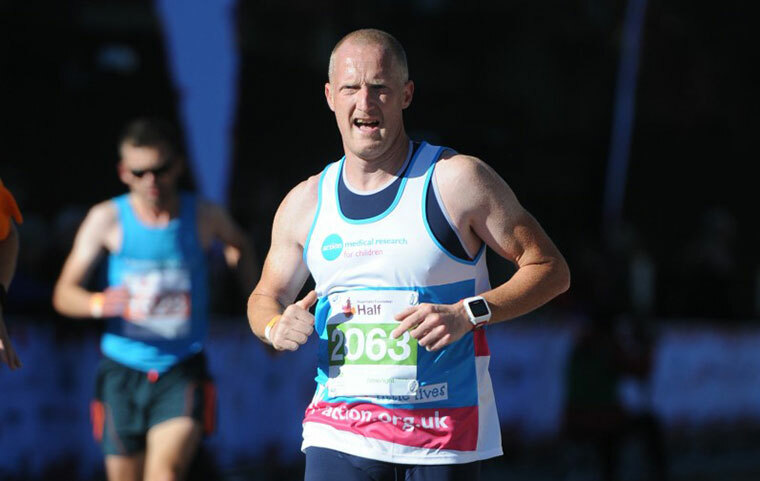 Lee Collier, 42, a photographer from Blandford Forum, will be taking on the Bath Half Marathon and the Virgin Money London Marathon for the children’s charity Action Medical Research. Dressed as Action’s mascot Paddington Bear™, he aims to break the records for ‘Fastest marathon by a mascot (male)’ in each race. Lee, who has been supporting the charity for 10 years, knows it’ll be a tough challenge, “The times I’ll have to beat are difficult, but then if it wasn’t a challenge it would be boring! The times Lee will need to beat are 1:37:03 for the half marathon and 3:17:57 for the full one. Lee hopes to raise £2,000 for Action, a charity he discovered following some tragic family news in 2005. “My world fell apart. After a few tough years I decided that I wanted to try and help others to not have to go through the same experience as we did. I fancied taking on a physical challenge like a marathon and went looking for charities that I could support. Action Medical Research is a UK-wide children’s charity which funds research to tackle the diseases that devastate the lives of so many children. It has been funding medical breakthroughs since it began in 1952, including helping to introduce the first polio vaccines in the UK, developing the use of ultrasound in pregnancy and testing the rubella vaccine.